My kids LOVE Harry Potter. I read all of the books to them a few years ago. Now, the audio books are playing on our Echo device most days, and the movies are frequently chosen for family movie night. They both have wizard robes and wands, and know their Hogwarts House and Patronus. In 2017, we bought cheap annual passes to Universal Studios Hollywood at Costco to complement our Disneyland APs, so we have visited Hogsmeade there. 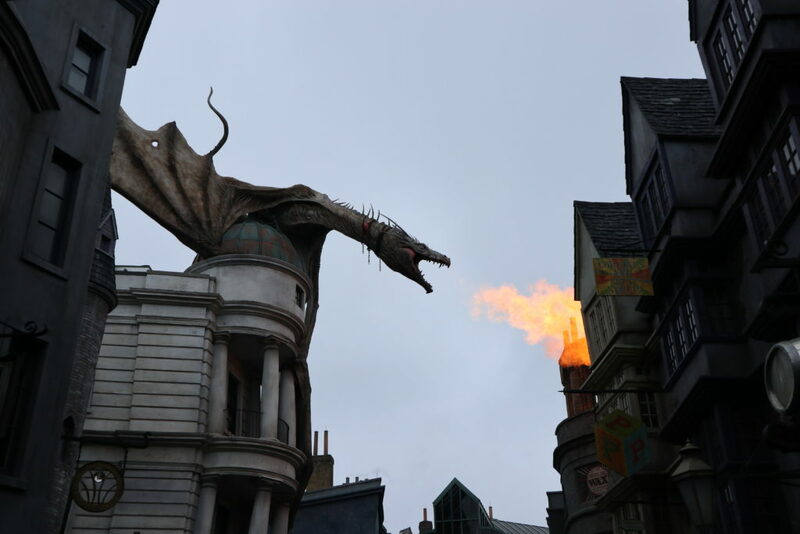 However, Universal Orlando also has Diagon Alley AND the Hogwarts Express, so we knew we needed to visit there someday soon. 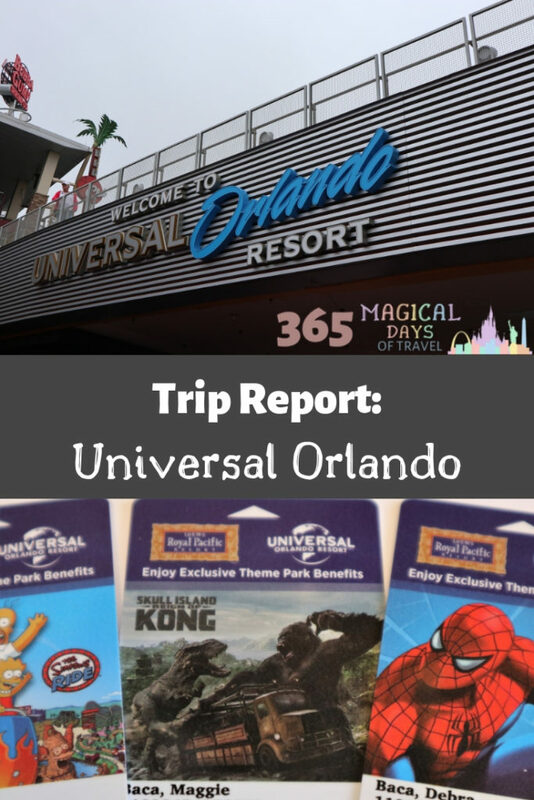 Back in April of 2018, I found a great deal on tickets to Universal Orlando through Daily Getaways, a fundraiser for the US Travel Association. Every spring, they offer a different travel deal each day for a few weeks. 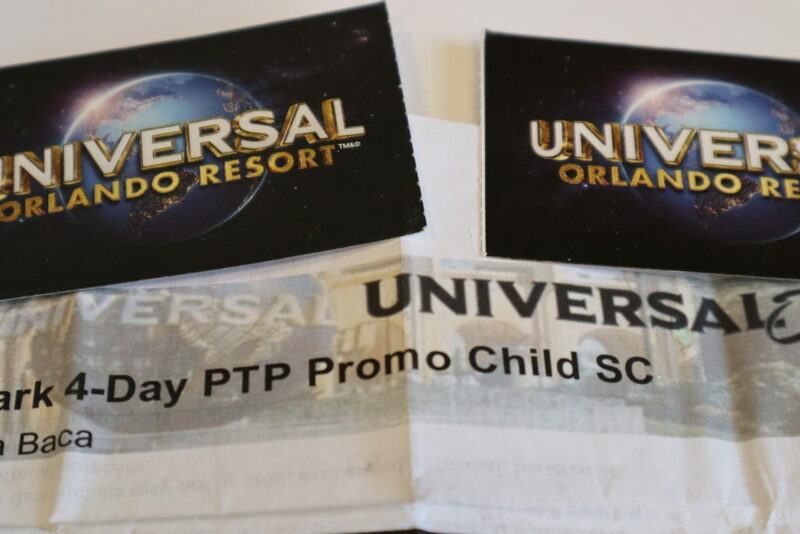 The deal I had my eye on was three day, three park tickets to Universal Orlando. 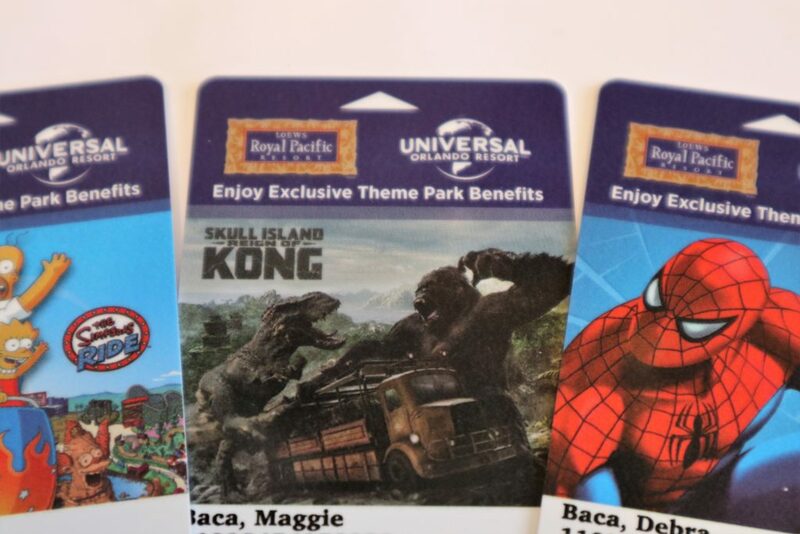 These tickets are very expensive, over $350 on the Universal website. Daily Getaways had a deal for a pair for $569, cutting our costs by $133 on those two tickets. I would have preferred to skip the water park, but it was too intriguing to the kids, so the three park tickets made sense. However, I still needed another ticket. 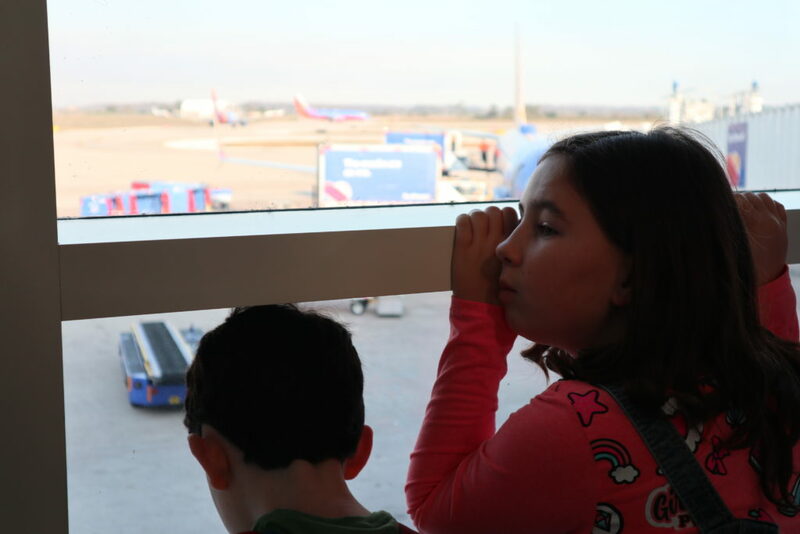 I watched my Amex Offers, hoping for a deal from Undercover Tourist to buy a child’s ticket for Carter, but there wasn’t a single one between April and December! 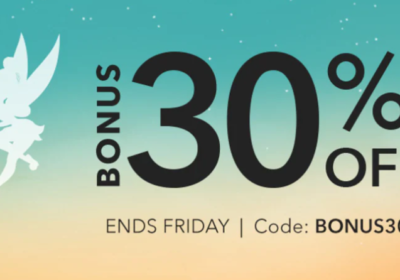 Both Universal and resellers are running a deal for a buy two days, get two free. It was cheaper than the three day pass, so I went ahead and bought it for a few dollars cheaper through Undercover Tourist with a whole dollar back through the cashback portal, Giving Assistant. The next hurtle to get over was to find a place to stay. I saw a post about a new Hyatt House across the street from Universal that was only 8000 points per night, plus I had an annual free night certificate available from my Chase Hyatt Visa. 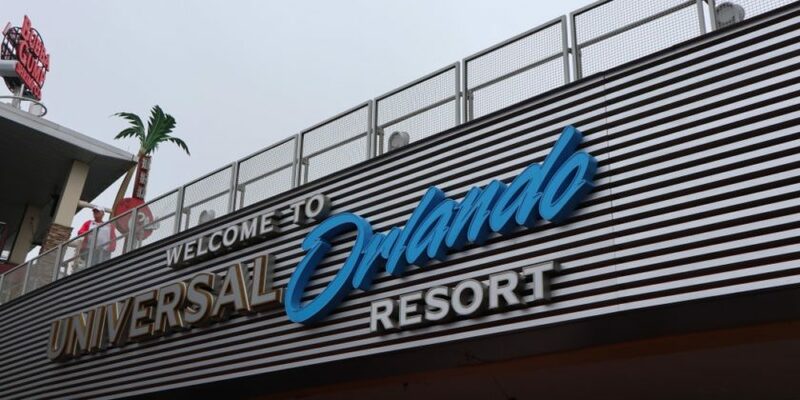 However, at Universal, the three higher end hotels on-site offer free Express Passes and early entry. I learned in an Universal Facebook group that you can get those benefits on both your check-in and check-out days. What a great value! 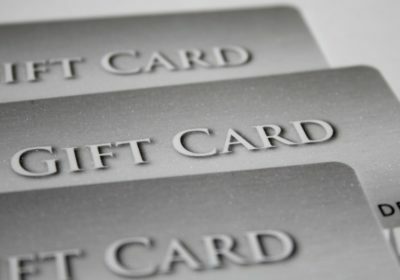 I decided to break up our stay at the Hyatt with one night at the cheapest of the three, Loews Royal Pacific Resort, in order to take advantage of this perk. This is the main thing that determined when we would go since the rooms are quite expensive. February seemed to be the most economical time to go, timed to when the kids had an odd day off in the middle of the week for a professional development day so they only missed two days total. I always set a reminder in my calendar a day or two before the cancellation date for any hotel stay just in case our plans have changed and I forgot to cancel the room. In this case I wish I would have checked the rate as well, because a few days before our stay, I had checked the rate, and it was at least $50 cheaper, but I was outside of the cancellation window. Live and learn! This lodging write-up is becoming very complicated. Less than a week before our trip, I wondered what we were going to do on our last day since our plane didn’t take off until 5:00pm. 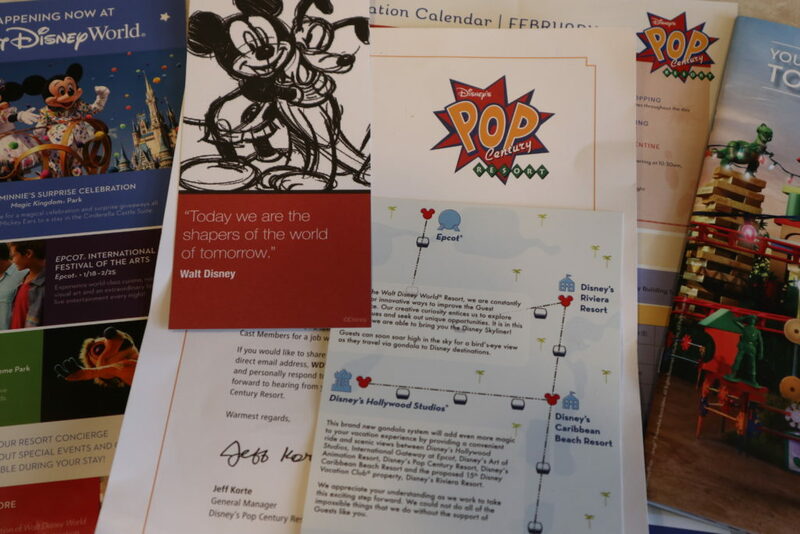 I got the idea to hop over to Disney World to do a character breakfast, maybe ride the monorail, and check out the progress on the Skyliner. I got out my Uber and Lyft apps to try to map out a way to get over there from the Hyatt, and then back again to gather our luggage before getting another car to take us to the airport. This is when I decided it would just be easier to STAY at Disney World! How fun! We already had to hop over to another hotel, might as well make our last night in Orlando at the most Magical Place on Earth, right? I changed our free Hyatt night over to a one night stay in Downtown Phoenix next month for a concert Bryan and I are attending. The rooms at Disney World were even on sale, and we could take the Magical Express to the airport and save ourselves one more ride share. 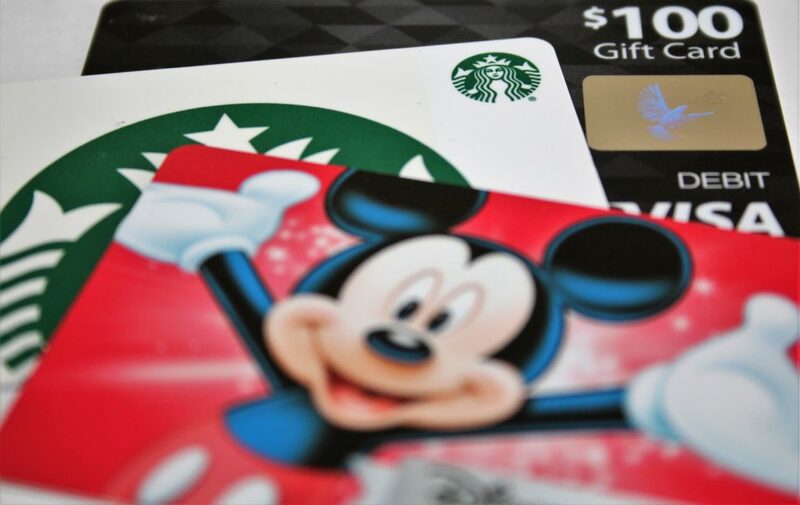 Plus, I paid for the stay with my discounted Disney gift cards, making it almost half the sale price! Our flights were probably the cheapest as far as actual cost to value ratio. We only paid the taxes both ways, and then points. Every time Southwest had a sale, I checked to see if our flights had dropped, but they never did, so I’m glad I booked as early as I did. The other portion of our transportation budget was taken up in ride shares. I had a credit with Uber, so I saved it for the ride from Universal to Disney. I used Lyft for the rest of our trips due to a 10% off rides coupon on my account for the length of our trip. Like I said, Magical Express saved us from paying for a ride back to the airport. 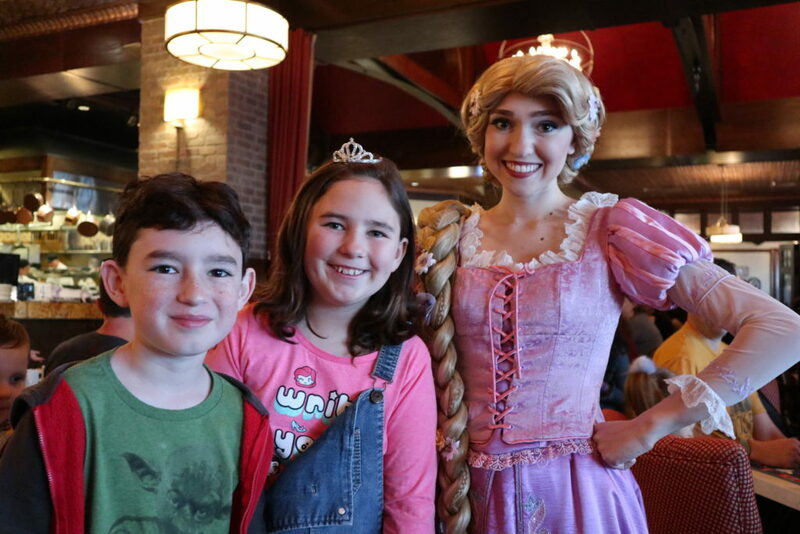 One unexpected transportation cost was a Lyft trip to breakfast at Disney World. We had a reservation, plus we had to check out of our room before leaving. This involved standing in two different lines to check in our luggage at the airline desk for the Magical Express, and then the rest of our bags with the bellhop. We ran out of time to wait on the Disney buses, so I just decided to cut our losses and call a Lyft to make sure we arrived on time. As theme park food goes, I think we did pretty well overall on our food budget. 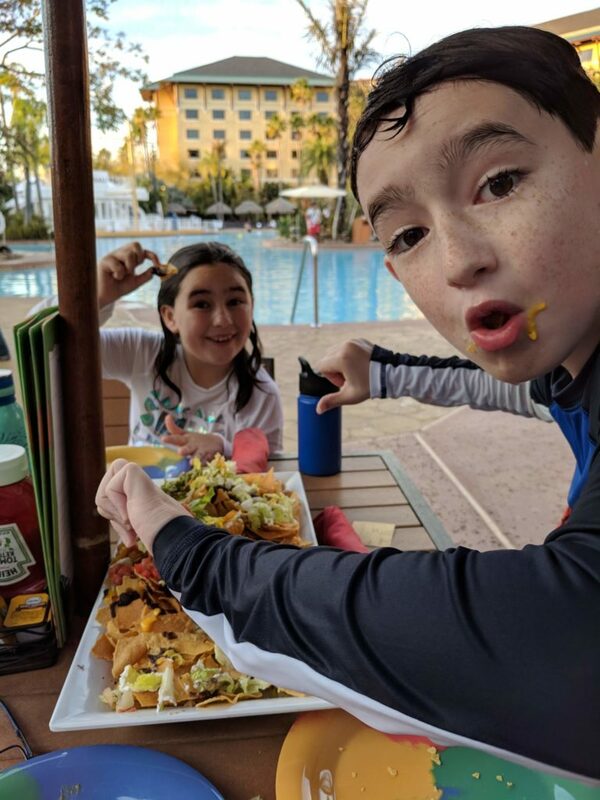 For example, on our last day, we waited too late to eat and ended up sharing nachos poolside at the Royal Pacific. It was by far our best and cheapest meal! Lunch at the Three Broomsticks even seemed reasonably priced. Comic Book Cafe was definitely not, but it was filling. Per usual, I allowed the kids to have one snack and one sweet treat in the park each day. 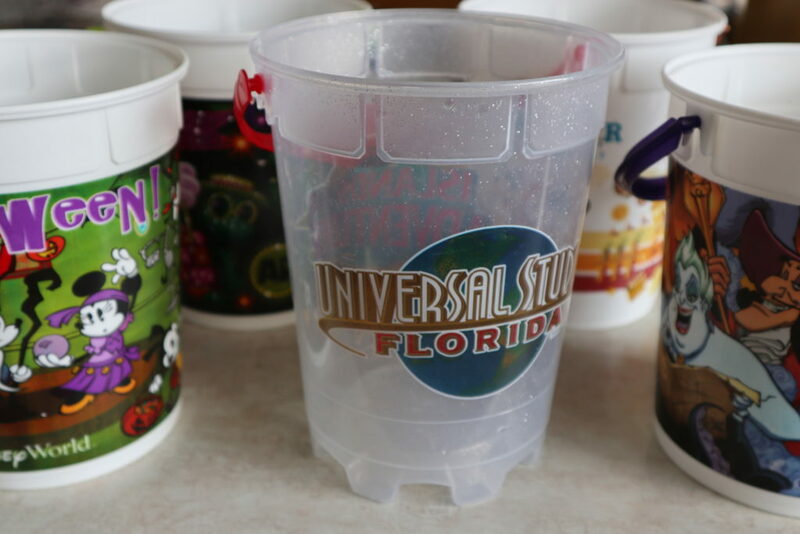 We purchased a popcorn bucket on the second day, and definitely could have gotten better use out of it if we had gotten it earlier and refilled it more often since it was only $2 for each refill. Bryan was not happy to see another popcorn bucket come home and add to our collection! For the rest of our meals, we brought food from home to have some snacks in the park, make dinner in the room, and eat breakfast during our Royal Pacific stay. 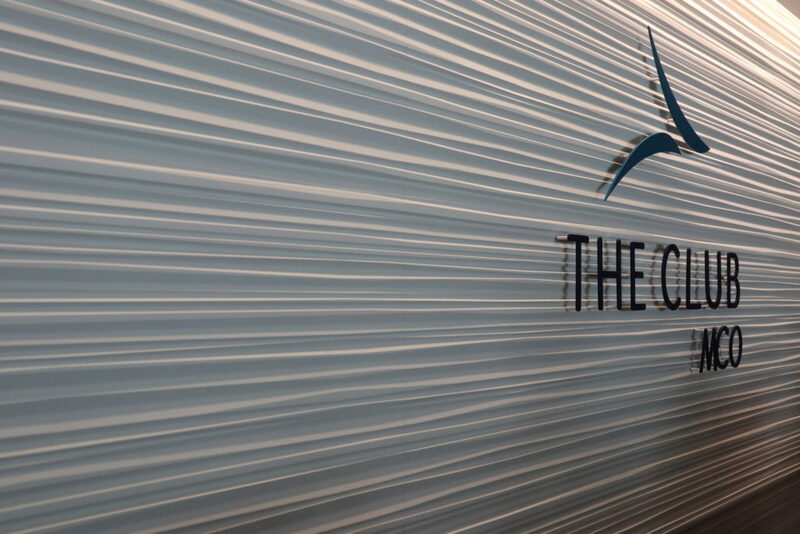 That, and our trips to the lounges at PHX and MCO, helped us keep our food costs down to a reasonable amount. Our souvenir budget is usually nil, but this trip had some extra expenses. I pre-purchased the three day photo package, but it seems I could have saved even more, because I missed a sale in early January, something that apparently happens regularly. 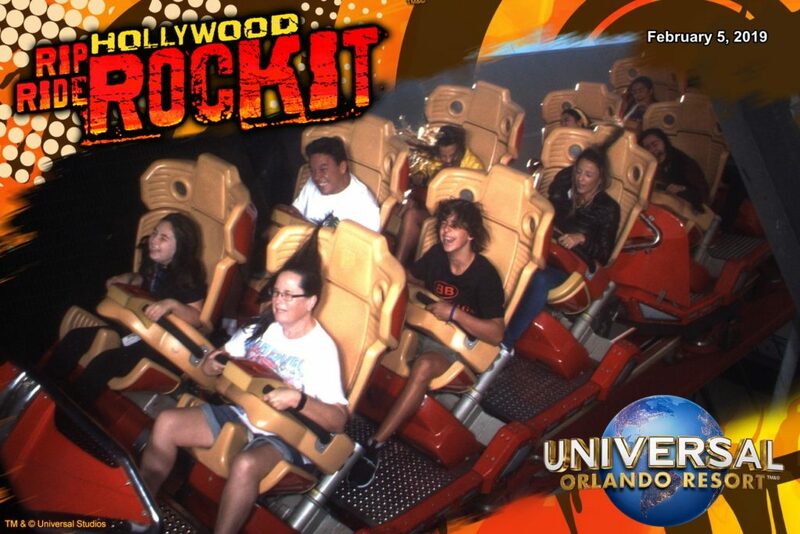 We also decided to buy a video of the kids on the Rip, Ride, Rock It! since it was so funny. Mine was even funnier since I truly thought I was going to die on that ride. Unfortunately, that video was lost, so we won’t ever have to see that! 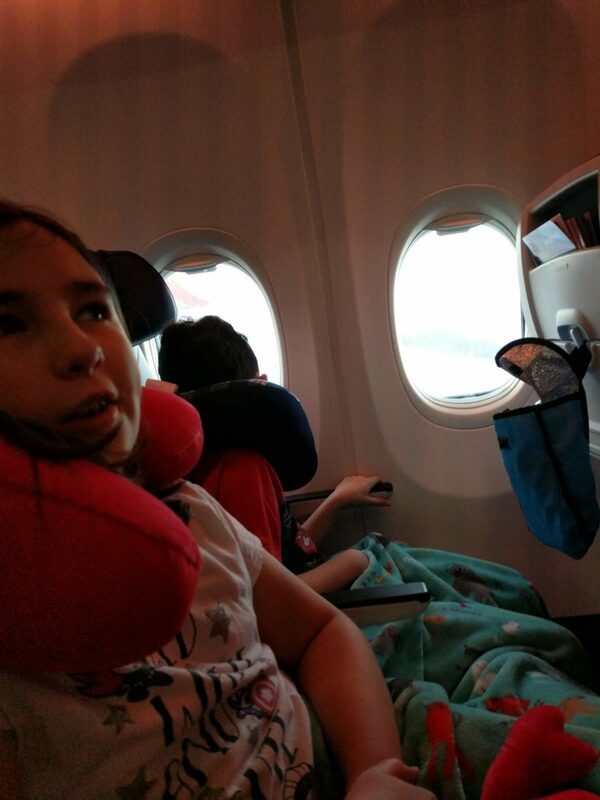 A couple of other unusual expenses for us was that since our outgoing flight had been cancelled and rescheduled for later, I made the kids a deal: I would buy them neck pillows if they would sleep on the plane. I also bought myself a pair of Purple Potion ears at Disney, something I rarely do. While this definitely was not a budget trip by any means given how expensive things are at theme parks, I think we did well by minimizing our other expenses. You can check out our trip budget here, plus the charts below here and here. On the spreadsheet at the top, you can see our overall savings percentage was 49.12% on a trip that would have cost us $3500. Not too shabby! Stay tuned tomorrow for Part 2 where I share our itinerary and more photos.